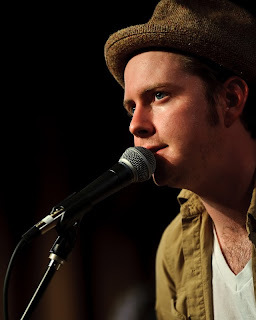 The name John Fullbright may not be well known in the UK but this is set to change in the near future as the exposure of this exceptional singer-songwriter considerably widens. Despite being in his formative artistic years, the maturity displayed by this Oklahoma based talented performer is incredible in what has been a relatively short recording career. On the back of a Grammy nomination for Best Americana album, where sharing the limelight with eventual winner Bonnie Raitt was no mean feat, John’s UK visit has led to a Jools Holland Later slot, a session with Bob Harris and a series of well attended dates. Established promoters Cosmic American’s decision to schedule John at the Nottingham Glee club was rewarded with a fairly healthy midweek turnout and those present were royally entertained with an hour and half of pure Americana. Accompanied by the widely respected Terry Ware on Telecaster, who has had a long association with Ray Wylie Hubbard, John effortlessly switched between guitar and keyboards, with a touch of harmonica, to deliver a luxurious offering of mainly self penned material. From the opening two tracks, both new songs that John performed alone, to the stunning encore version of Roy Orbison’s ‘Crying’, the appreciative and respectful audience were served an appetising collection of songs that straddled country, folk, blues and few keyboard led ballads that you could envisage infiltrating the pop arena. Apart from a sprinkling of new songs and a couple of covers, unsurprisingly John drew most of his material from aforementioned critically acclaimed debut release FROM THE GROUND UP. Although the equally adept live album which was recorded at the Blue Door in Oklahoma City supplied a couple of numbers including the outstanding ‘High Road’ which heralded his return to the stage for the encore. 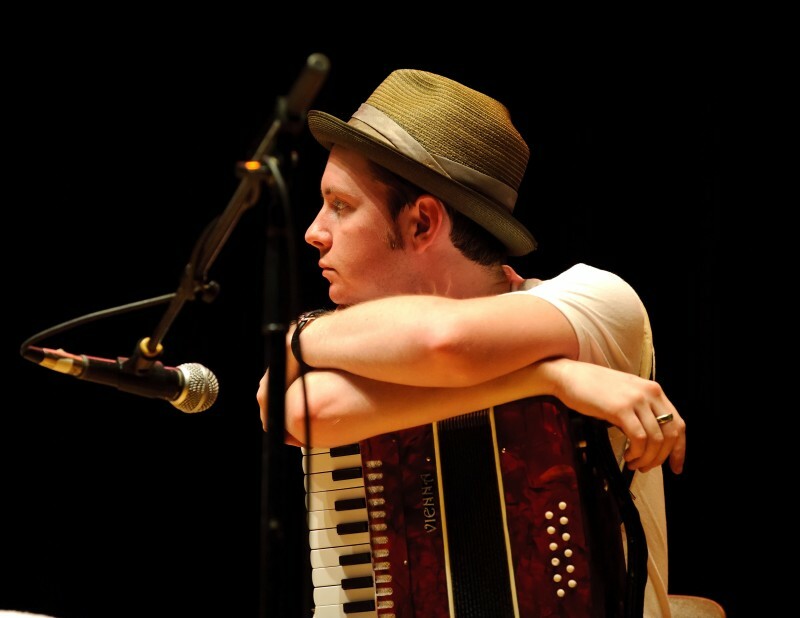 John admitted that talking between songs wasn’t his strong point but from an audience perspective there was ample informative banter to reveal an honest and sincere performer. We were briefly invited into his inner thoughts and picked up useful snippets such as the contribution of Dustin Welch on the album opener ‘Gawd Above’ which for me has all the hallmark of a Hayes Carll song. The diversity of John’s influences are exemplified in his blues rendition of ‘Ain’t Nobody’s Business’ a much recorded song written by Bessie Smith’s accompanist Porter Grainger and the country strains of perhaps the stand out song on the evening ‘Blameless’. This fine song can only be found on the live album to date. Of the other songs, ‘Satan and St Paul’ is fast becoming his most scrutinised piece of work and was the track selected for live performance on the recorded version on the Jools Holland Later show. The superb ‘Jericho’ was a perfect choice to close the main set, although the crowd were never going to let John and Terry leave without a little bit more. On John’s live album, he concludes the show with a fabulous version of Leonard Cohen’s ‘Hallelujah’ and while it was a touch disappointing that this wasn’t the parting gift tonight, you couldn’t fail to be impressed with this being replaced by the off mic delivery of ‘Crying’. London based Sean Taylor opened the evening’s proceedings with his brand of raw blues that exerted fine picking skills amongst a short collection of his songs. His brief set was the ideal appetizer prior to the fantastic evening that John and Terry were about to deliver. The hidden secret of John Fullbright is now out for all fans of Americana music to savour. His solitary recorded album to date and the brace of live recordings are essential additions to any collection as well as the opportunity to catch one of his shows. The positive reaction John is getting should signal an extended future UK visit and the new songs suggest a follow up album is in the pipeline. 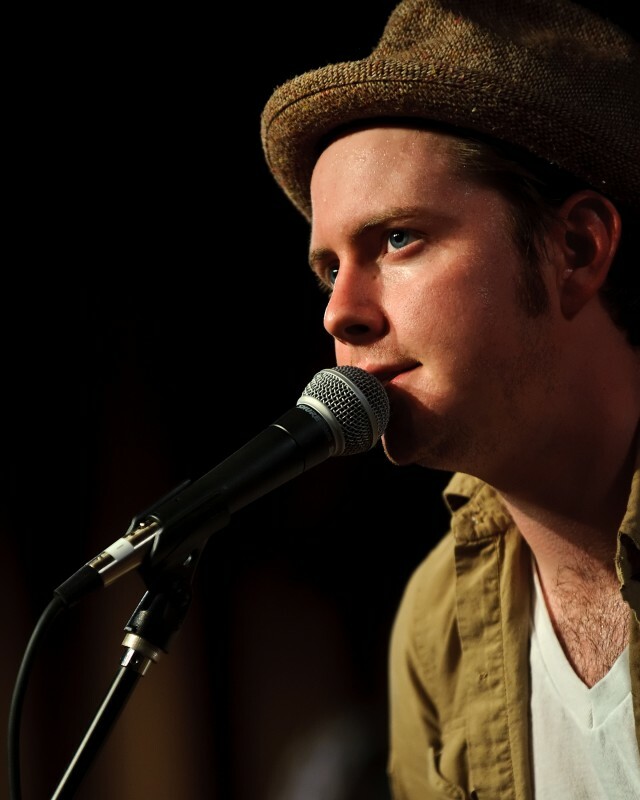 Without trying to sound dictatorial, appreciation of John Fullbright is non-negotiable. You won’t be disappointed.